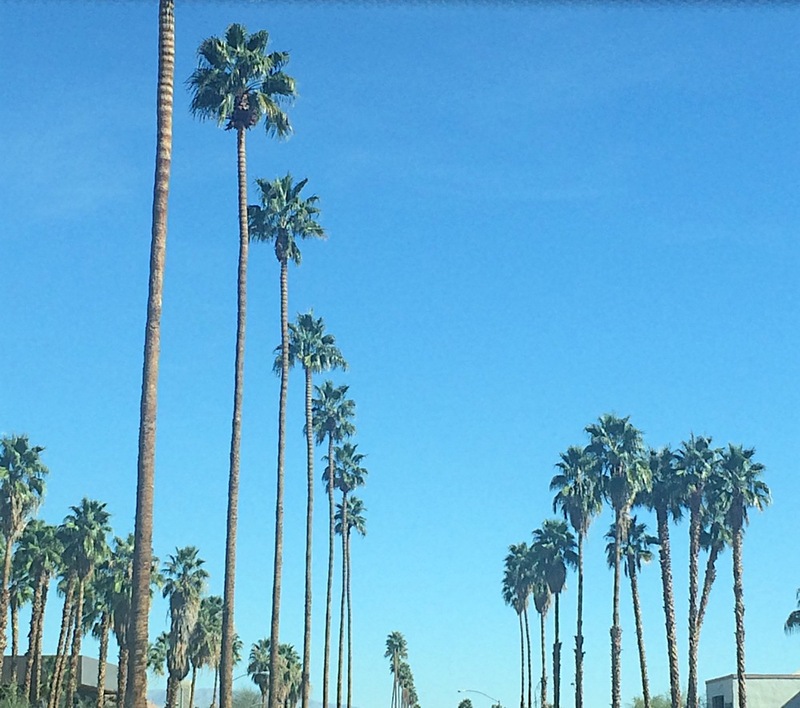 In honor of Coachella this week: When you're thinking of a place to go for a fun vacation and you don't live in California, Palm Springs may not be the first place to pop in your head, but I'm here to tell you, it's worth putting on your short list. A common weekend getaway for Cali folks, Palm Springs is a "bijou" city with a ton of character, style, and the ultimate relaxation experiences. You can feel the glitz and glamour of the history there as you walk the small streets, as the city is known for being a go-to vacation spot for Hollywood celebrities such as Elvis, Frank Sinatra, and Dean Martin, and Elizabeth Taylor. It's also located in the Coachella Valley, so for you music festival folks, there's no reason not to add this place to your bucket list. My story with Palm Springs begins with my sweet husband, and I can't think of a better city for couples to visit. Each year, Tres has to visit Palm Springs for work. Well, one year about six years ago I went along for the ride and never wanted to miss the trip again. We have been every year since and find something different to do every time! About two hours from LA, two hours from San Diego, and one and a half hours from Temecula Valley wine country, the day-trip possibilities are endless - not that you need the day trips though, Palm Springs is the perfect 3 day getaway all on its own! I want to burst with complete overwhelming happiness when I visit this little California city. To lay poolside with closed eyes, feel the warm sun - that you know is there for at least 300 days a year - then open your eyes and see a painted backdrop that includes what is one the grandest, bluest pools you've ever soaked up, and peeking up behind it are snow covered mountain tops, Palm trees, cactus, and a glowing orange desert. That is Palm Springs. Aside from just getting on a plane and taking the trip, here's a list of what I recommend when you arrive. Best brunch in Palm Springs. Get the bacon flight and the fresh squeezed blood orange mimosa. Also, the BLT and fried chicken sandwich are fabulous! A hidden speakeasy tiki bar -- this place is awesome!!! It has become our new favorite cocktail spot. The drinks are unique with fun surprises, and I highly recommend the cheese board. This little quaint coffee joint is the "hiding spot" for Bootlegger Tiki. The coffee is superb, the indoor atmosphere is relaxing, and the patio is fun. 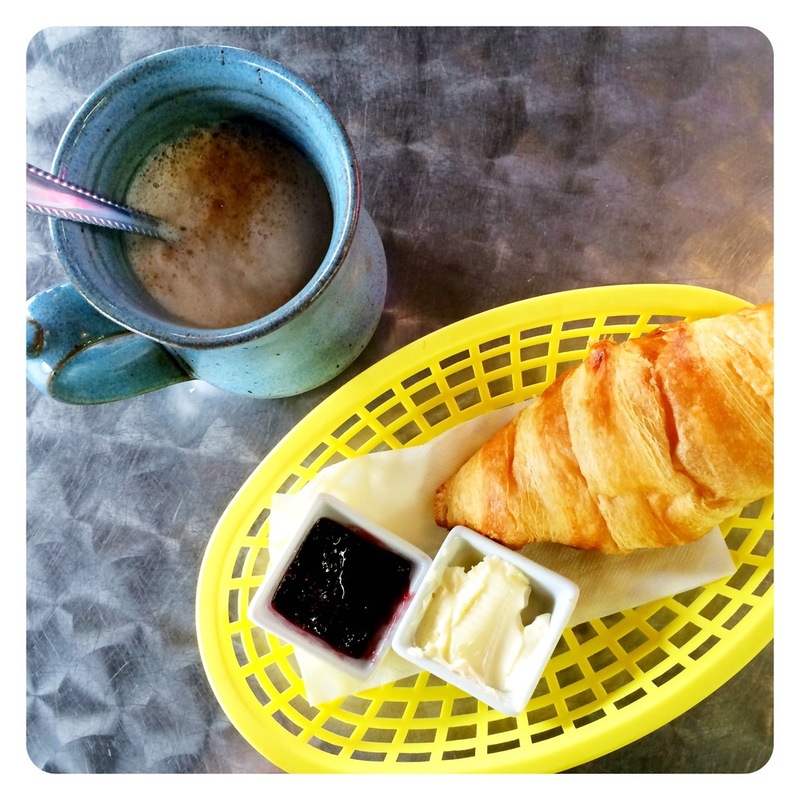 Best breakfast in Palm Springs. Their fresh squeezed orange juice is too good for words. Order whatever your favorite thing for breakfast is, and I bet it will be the best you've ever had! I love the french toast and bacon. There are more than a handful of mexican restaurants in Palm Springs, but this is my all time favorite. It may be because the food is so delicious or maybe because it's tradition for me and Tres to eat here every time our plane lands, but we love the patio and the margaritas! Walking by it, you'd never think to go, but you should most definitely have lunch here! 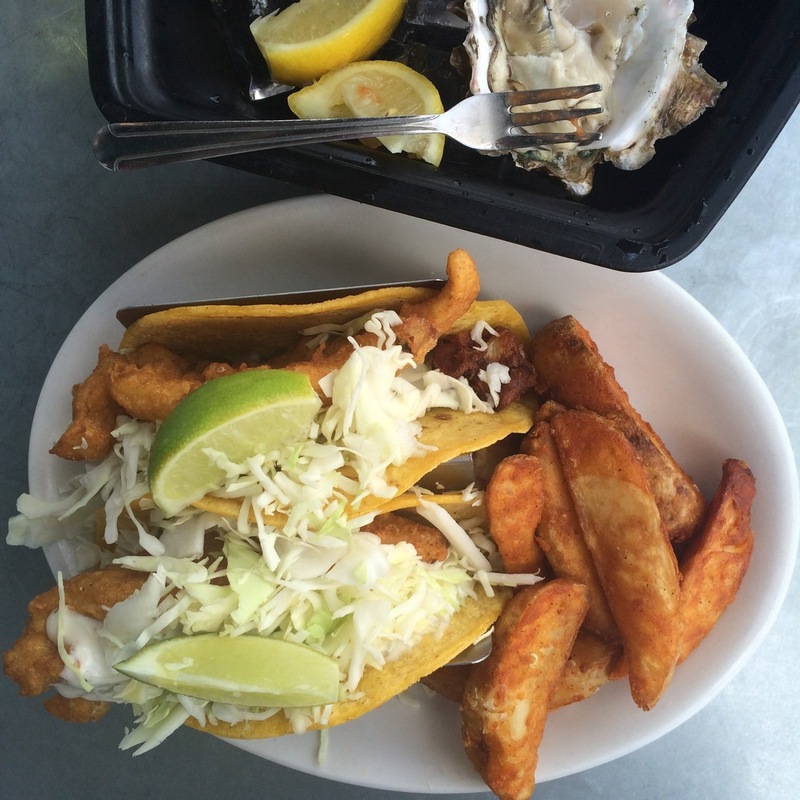 Known for their fish tacos.. They're a must-eat! I love this place for dinner. The atmosphere is trendy and the food is unique. I'm a fan of the Crawfish Pot Pie. The perfect date spot, this restaurant is classic and romantic. The patio is the perfect place to really soak up the night-time relaxation of the beautiful desert. 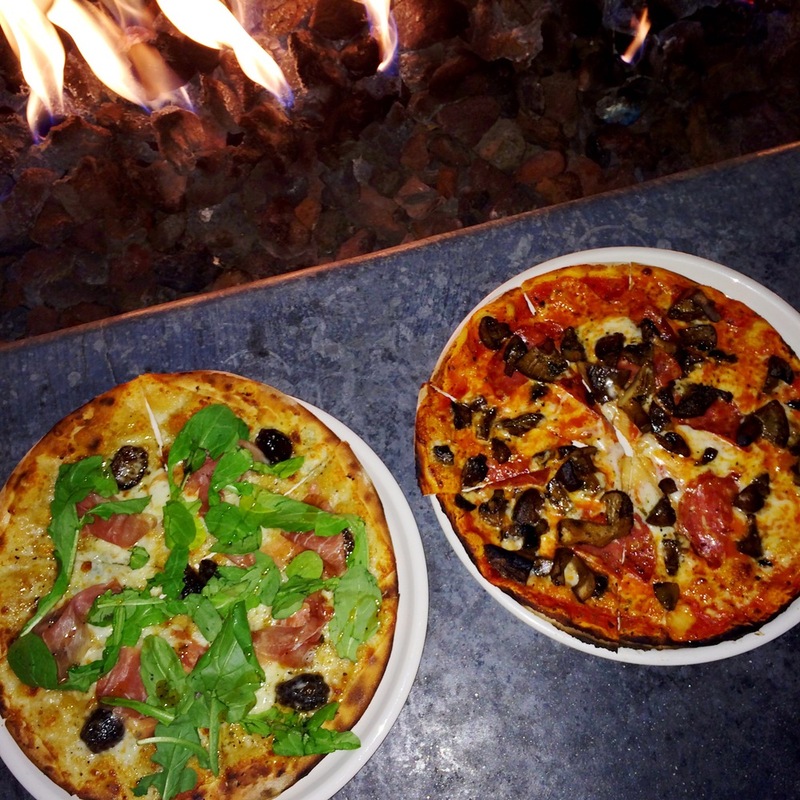 Awesome wood-fired pizzas with great outdoor seating. I love the view from the top of the restaurant out onto the street, and the firepits make it cozy. Great wine selections, good appetizers, and wonderful cheese plates. Another great patio for people watching! You are transported from the California desert to a quaint French cafe when you come here. It's so authentically french with delicious coffee, perfect croissants, and melt in your mouth crepes. I have to be honest and say I like the decor and atmosphere of this place better than the food. However, the menu is inventive and it's fun to try as many of the small plates as you can. The cocktail menu is fun and there's plenty of wine to choose from off the large list. I love this hotel... It's so modern-old school sophisticated. If anything, walk through the hotel and head to the Sidebar Lounge for a drink.. It's well worth it! A fun, free spirited feel, this hotel has trendy, yet casual appeal. The bar is some kind of fun and open late with fun cocktails to boot. This is a great outlet mall right outside of Palm Springs. Lots of upscale stores for lower prices. And if you're an All-Saints fan, they have an All-Saints outlet. I've yet to find one anywhere else, so need I say more?! If you're driving to the outlet mall from Palm Springs and you happen to see what you MAY think is a scene from Pee Wee's Big Adventure off the side of the road, you're not mistaken. The scene from the movie with Pee Wee, Simone, and Andy was filmed right at this museum. Maybe you're not a Pee Wee fan (who are you?!?!?? ), but these gigantic Dino's are still something random but interesting to see. To be in the desert in 90 degree weather and within minutes be shivering on top of snow covered mountains, looking down at that hot mean, desert is worth a tram ride! Such a unique experience with lots do do when you get up there!
. 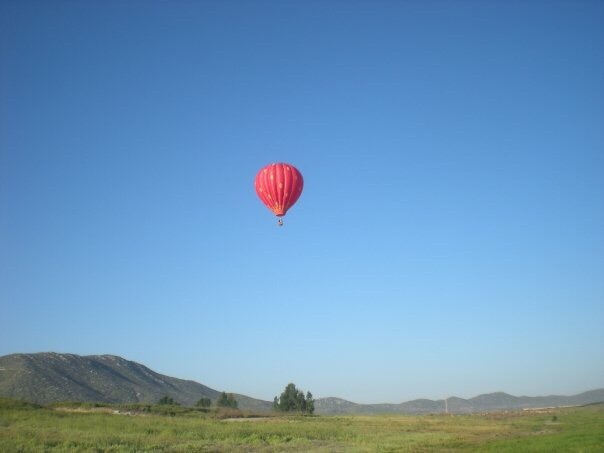 We also did a hot air ballon ride once, and that was worth the trip over alone.